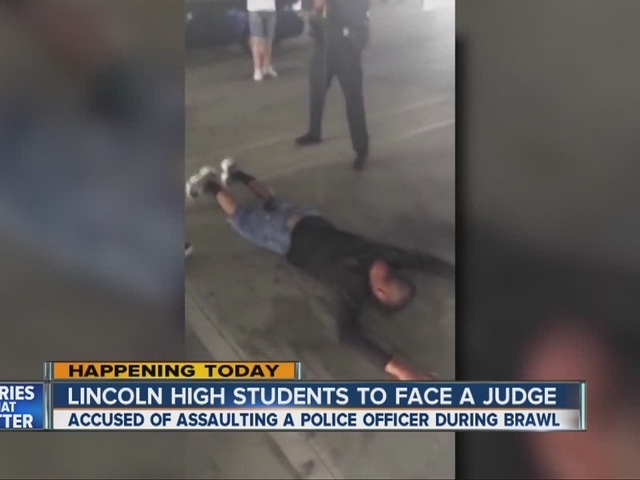 SAN DIEGO – Two teenagers who were taken into custody after a riot broke out last week at Lincoln High School were in Juvenile Court Wednesday to face charges. The arrests occurred after San Diego police reportedly attempted to break up a fight between students during the lunch period on Feb. 26. 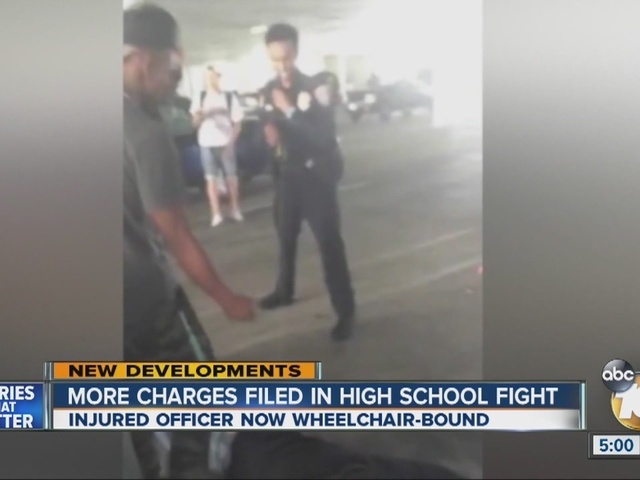 A school resource officer, identified as Bashir Abdi, was taken to the hospital with a head injury and four students were also taken for treatment for being pepper sprayed. A portion of the incident was captured by students on cell phone video. Police said Abdi was jumped from behind by a student. During the altercation, Abdi used his stun gun on a student, identified as Jesse Duncan, one of those arrested. Duncan and another student, believed to be his cousin, were arrested on charges of felony assault on an officer. Duncan is the son of Brandon Duncan, a local rapper known as Tiny Doo. Brandon Duncan made headlines in 2014 after he was jailed on a gang conspiracy charge over his rap lyrics despite having no criminal record. A judge tossed the case out in March 2015. The 16-year-old pleaded not guilty to five charges in Juvenile Court Wednesday. Deputy District Attorney Minaz Bhayani told Juvenile Court Judge Browder Willis that the fight broke out Friday after a group of students were "play fighting" and "slap boxing" near the school gym. There is surveillance video of the riot. However, San Diego County District Attorney Bonnie Dumanis sent a letter to San Diego Unified School District Superintendent Cindy Marten Tuesday directing her not to release the video to the public due to the ongoing investigation. Despite the Probation Department's recommendation for detention at Juvenile Hall, the judge allowed the accused to be released to his parents under home detention and electronic surveillance, leaving his house only to go to school. "I just want my son to be exonerated of any false charges and I want him to come home," Brandon Duncan told 10News this week.